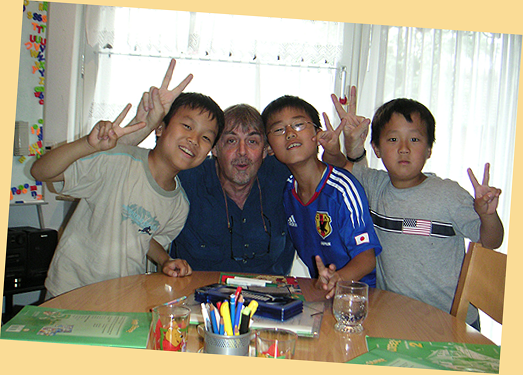 Children are recommended to start learning a foreign language as early as possible. 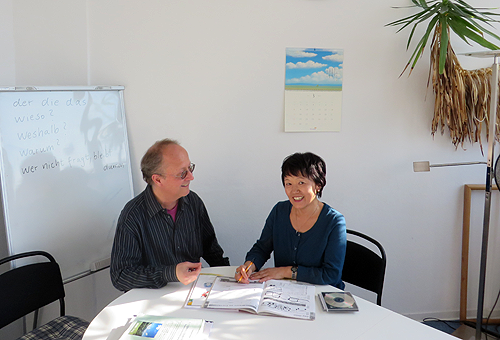 Starting from the natural source of language, its sound, by listening – our native speakers lead them soon to a veritable skill of 英会話, always having lots of fun. 3 to 4 years: Children start playing first dialogues with dolls and each other, acting out little plays, playing games, singing little English songs, painting motives and making things out of paper. By that as well as using a lot of additional material they get used to a proper communication 英会話. 4 to 5 years: For getting from listening into speaking our course Happy House 1 provides in its Class Book suitable topics and vocabulary, stories to act out, songs and dialogues to raise the communication skills and offers in its Activity Book lots of exercises to draw, number or match fitting things and colour them in order to prepare for writing activities in the next step. 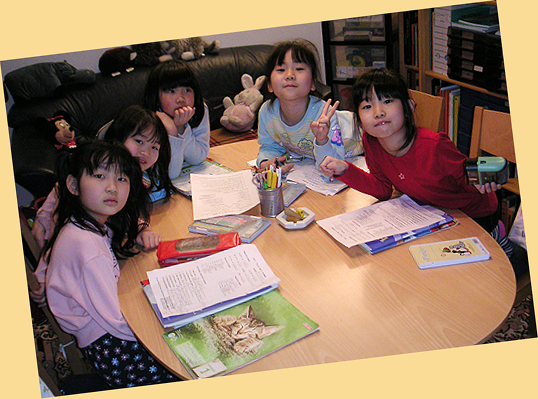 5 to 6 years: The course of Happy House 2, consisting as usual of Class Book and Activity Book, completes the development of all language skills by teaching the alphabet to get the children into reading and writing as well. Particularly the great amount of listening activities supports the communication abilities of understanding and active expression. 7 to 8 grade: Junior High students who have already finished the English program so far are ready to progress to Step B1 of the Common European Framework of Reference of Languages, using Headway B1 Part One (Klett/OUP). 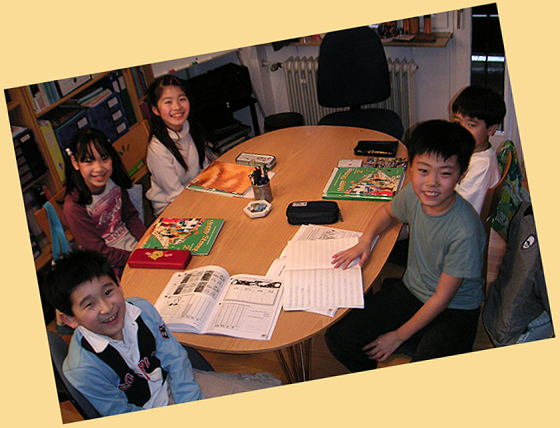 In 10 units the Student’s Book focuses on attractive topics and related vocabulary, each in combination with exercises in reading, listening, speaking, writing and focusing every day English. The Workbook offers a lot of additional exercises to sustain all the acquired skills of the unit, with its own Audio CD. 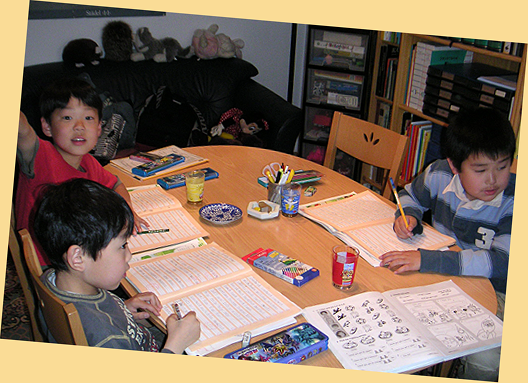 Also for children each level of 英検 step 5 to 1 can be prepared. Let them meet the challenge! After finishing a textbook or a course our young students receive the appropriate Certificate of our School. All our classes develop your skills by turning listening into speaking, reading into speaking and writing, while raising your range of vocabulary and your comprehension of grammar to reach complete communication skills. Regarding our choice of material we want to point out that other appropriate material can be used on request as well, particularly concerning those students who have used different material somewhere else so far and want to continue studying with us. Please come and find out about the appropriate level for your studies or about freshening up your English by using our consultations and placement tests for free. Let’s get in 英会話! Using the language course Headway A1 – Student’s Book (OUP) you get introduced to the basic topics of English communication, studying the structure of main clauses, the grammar of nouns and verbs and every day expressions. You will be able to manage the situations of daily life talking in present and past tense. At each step the Workbook offers a lot of additional exercises to sustain all the acquired skills of the unit, with its own Audio CD. Our options to give you a reference for your skills regarding the English language are Test A1 according to The Common European Framework of Reference of Languages or 英検 step 5 to 4. We help you prepare for them. o Step A2: Headway A2, Student’s Book, Workbook, CDs. (Klett/OUP) Optional tests: Test A2 or 英検 step 4 to 3.
o Step B1: Headway B1 Part One + Two, Student’s Book, Workbook, CDs. Optional tests: Certificate B1 or 英検 step 3 to Pre2. Step B2: New Headway Intermediate, Student’s Book, Workbook, CDs. Optional tests: Certificate B2 or 英検 step Pre2 to 2.
Business English: We arrange lessons according to your needs and choose the appropriate materials with regard to your goals. For employees we provide classes in the evenings or at the weekends. New: We provide preparations for TOEIC (Test of English for International Communication), an English Exam on the lower intermediate up to the advanced level for working people who'd like to check their level of skill in international communication and to find out their need of improvement. 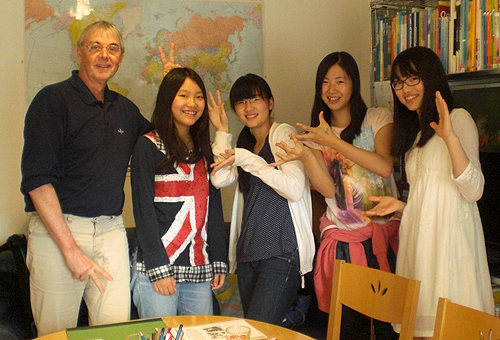 The easier test TOEIC Bridge (for beginners up to lower intermediate level) can also be prepared with us. Please contact us for the options.